Another article has surfaced on the Yoseikan home page authored by Hiroshi Uchida-sensei and linked by Masatsune Tachibana-sensei (aka T-sensei), the latter whom we had the fortunate experience to train with in 2014 and 2017. It was an article focusing on the event that transpired after the Kitamoto seminar when the Intings joined a degeiko with the children, entitled “Introduction when Loida Estanilla-Inting and Kristopher Inting came to Yoseikan.” You can access the original article in Japanese here. Thanks to T-sensei and one of our members, Lev Leetian, we can read it in English! 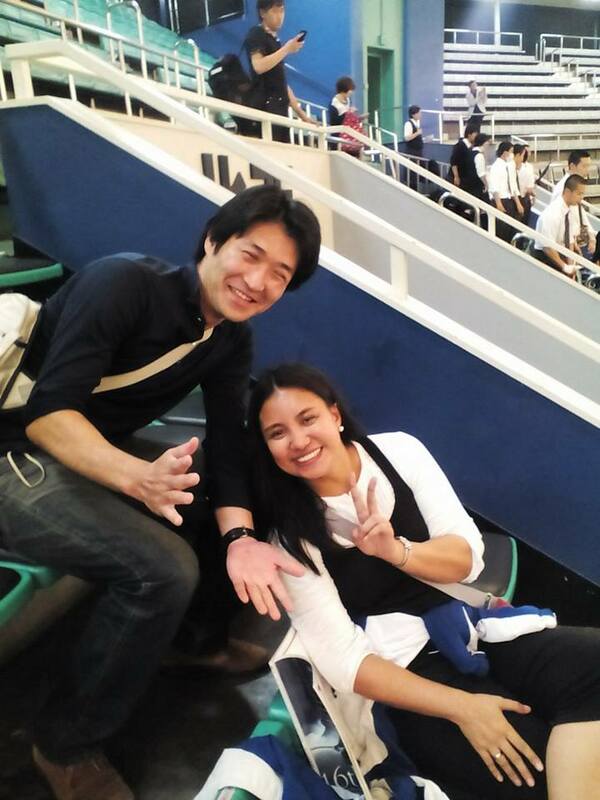 To the fostering friendship between the Philippines and Japan from here on! On this day, I felt that the splendor of Kendo was renewed through our keiko (training) with visitors from overseas. What a refreshing keiko we had here today. 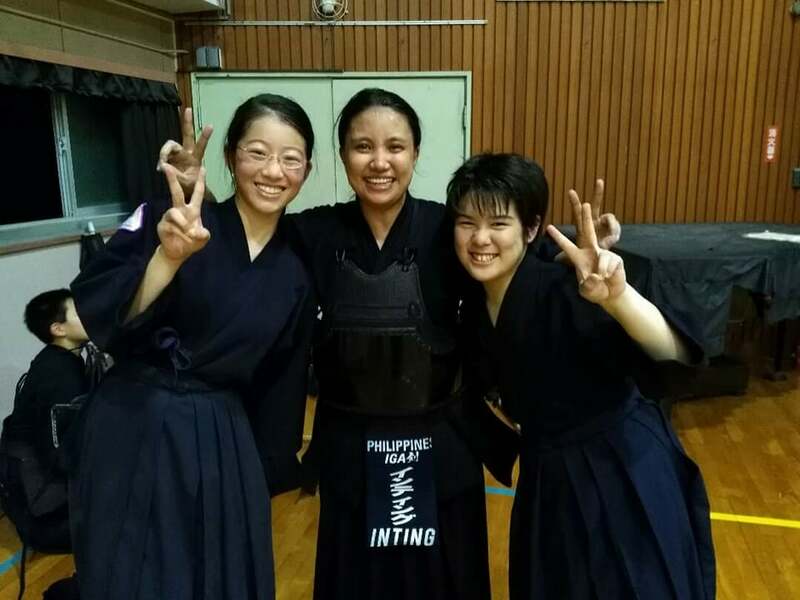 We had two visitors from the Philippine Kendo Federation for Degeiko (visitors training) on a summer day in 2017. They came after the Kitamoto Kendo seminar held in Saitama prefecture, with the referral of T-sensei. They really wanted to try and watch the children’s Kendo and with the thought of doing Kendo together with them. So they did keiko with the children of Youseikan. The husband, who isn’t shown in the photos, had a large build and he did Kendo training without any regard to the hot weather in Japan. Without resting, he continued to train and stood as a motodachi. At first, the kids looked scared because he is a big guy. Even if the kids tried Taiatari, they could do nothing but bounce off of him. Additionally, there seemed to be a big difference between his gentle looking face and his big body (hahaha!). However, in the middle of training, the children made a long line in front of him for Keiko. At the end of training, while wiping his big drops of sweat, he had a nice chat with the children which impressed me. His wife, just like you see in the photo, really has a smiling face. Her kendo was so Japanese, so strong and forward, doing Seme by taking the center, and making straight sharp hits with no tricky feints and all. So when I faced her I was like, I want to swing proudly and boldly too and I ended up wanting to challenge her straight on with a ‘men’ of my own. Good luck on taking the 4th dan exam soon! Recently, we have had some chances to have Keiko with foreigners thanks to T-sensei’s introduction. The competitive techniques some of them use aren’t always sophisticated, and they aren’t strong in some case. However, I can imagine that they must love this so much in order to keep training in other countries and practice this Japan original “Budo-martial arts,” Kendo. I can’t help being respectful toward the fact that while we are doing the same thing, they approach this in a way in which we Japanese usually tend to forget. 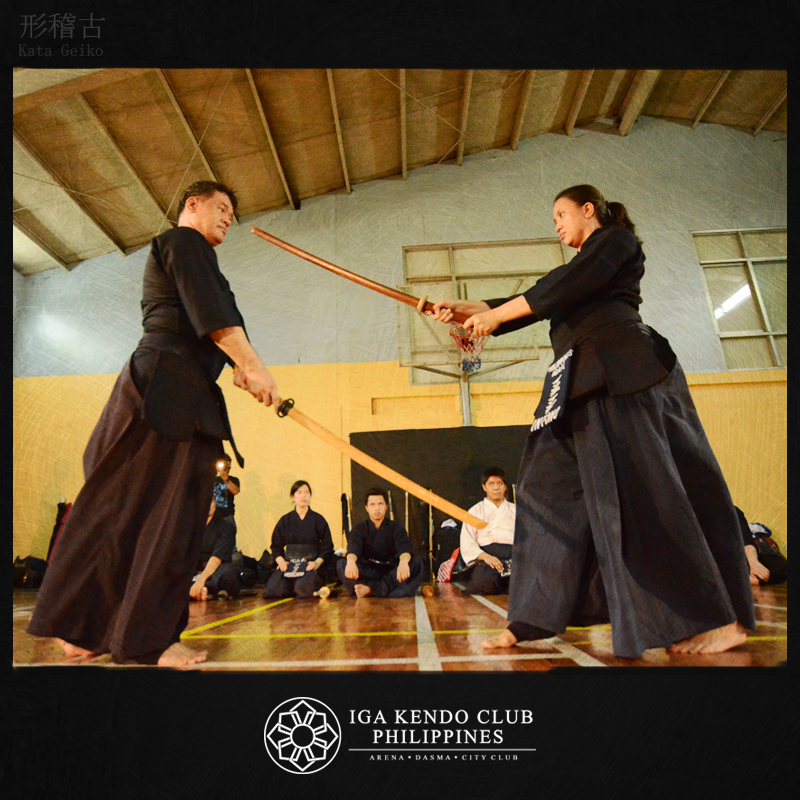 To approach Kendo through the aspect of “martial arts-not sport”. When you look at the armor that they use in Kendo, you cannot say that the quality of their armor equates to their skill. When people come to Japan to buy armor, the prices are different, and it’s not as easy to buy them as we think. Moreover, upon return to your home country, it doesn’t necessarily mean that you have the perfect environment to do Kendo. I imagine that they are doing Kendo in an even more difficult environment. 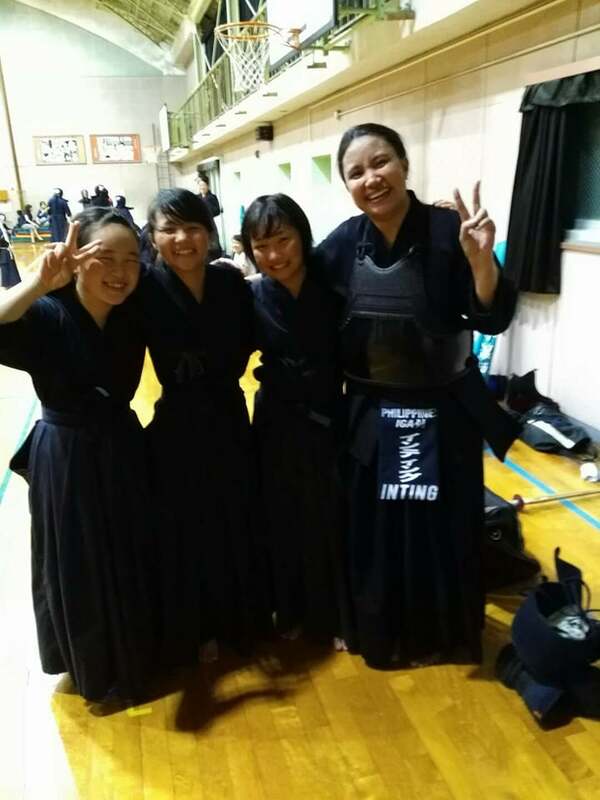 I am thankful for this opportunity to create new relations through practicing and happily loving Kendo, even if we did not know how to speak each other’s languages. Aaaah, when I get out of Japan one day, I’ll bring only my Kendo gear, and I want to practice with all the Kendo practitioners in the world~!! Mr. & Mrs. Inting, we will be waiting for you to practice with us when you come to Japan again. This entry was posted in Stories / Testimonials, Uncategorized and tagged kendo, kendoPH, kitamoto, pilipinaskendo, tachibana, uchida, yoseikan. Bookmark the permalink.